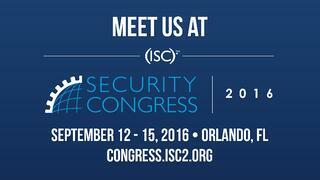 Jack Jones, the author of the Factor Analysis of Information Risk (FAIR) standard and of the award-winning book "Measuring and Managing Information Risk," will be presenting a case study on "Quantifying Cloud Risk" at (ISC)² Security Congress on Monday, September 12, 2016 at 3:15 pm. Business executives are unlikely to ever really understand risk statements like “High risk”, “Medium risk” and “Low risk” when moving applications to the cloud. As a result, they sometimes discount higher risk situations as “InfoSec conservatism.” Risk quantification can be a powerful tool to help them better understand and appropriately prioritize InfoSec risk scenarios. Jack will walk participants through an analysis of a specific cloud service leveraging the Factor Analysis of Information Risk (FAIR) framework. The analysis results will be described in business terms that any executive would understand. This session will demonstrate a pragmatic approach to quantifying cloud-related risk. The power of communicating information security risk in business terms. Weaknesses associated with common 3rd party risk assessment methods. 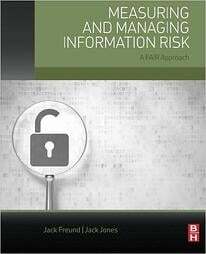 A pragmatic approach to quantifying information security risk.